When the South African National Standard SANS 10400 XA was published in 2011, followed closely by the promulgation of the Regulation (NBR-XA), it was intended to be a starting point for implementing environmental sustainability in new buildings. These standards were better than business-as-usual, but not yet where they should be. The strategy therefore entailed revising the standard every five years to gradually take the market to more stringent levels. A bit later than planned, the next revision is set to be released at the end of 2017 /beginning of 2018. Lisa Reynolds, director of the Green Building Design Group (Green BDG), explained to Walls & Roofs what changes can be expected in the revised version of SANS 10400-XA and what the biggest impacts will be on the construction industry. First and foremost, the goal was to make SANS 10400 XA more user-friendly throughout. “We have tried to match the level of competency that is required to sign off a building, with the complexity of a building. 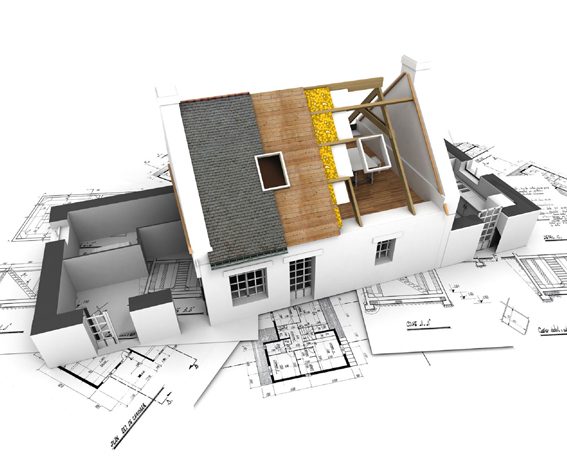 This is so that, for a straightforward building like a house or a school, for example, the competent person doesn’t have to do any thermal calculations – unless they choose the calculation route,” she explains. Another important change is the revised map that was redone by the Council for Scientific and Industrial Research (CSIR). The new map reflects energy zones as opposed to climatic zones in the current map. These new zones consider the energy needed to achieve thermal neutrality or comfort inside a building, as well as taking humidity into account. An American company, WinBuild, which was involved in a “cool surfaces” project in South Africa, did extensive modelling and has given permission for the modelled numbers to be used in SANS 10400 XA. As the tables are currently in the process of being revised, Reynolds warns that the numbers are going to be much lower and end up being much stricter. The Winbuild results will be published on the website of the Southern African Energy-Efficiency Confederation (SAEEC) soon for reference by its members. SANS 10400-XA to avoid repetition, as it is already part of the regulation. Looking at the “recipe route”, as Reynolds describes the step-by-step deemed-to-satisfy route, she notes that in the current SANS 10400 XA, building types that fall in the same category, such as healthcare facilities, are grouped together. However, comparing day hospitals, subacute facilities, health clinics and major hospitals that need to operate 24/7, these buildings all have completely different energy and performance requirements. Therefore, in the revised version, building types have been divided in to sub-occupancies that make more sense with regards to thermal energy. Other factors taken into account are daytime or 24 hour usage. As part of making it simpler and more user-friendly, there will also be no reference to SANS 204 since all requirements will be inside SANS 10400 XA, eliminating the need for referencing. Furthermore, the requirements for each part of the building envelope are being reviewed. Thermal performance requirements will be added for suspended or exposed concrete flooring. “When constructing a multi-storey building with a carpark underneath the first floor, for example, it means that the underfloor is exposed and cold, or heat can enter the building from below, which is why it will need to be insulated appropriately,” Reynolds explains. “We are still investigating wooden flooring, because if it is sealed too much and moisture occurs, it may cause problems, so we are investigating how to get exposed wooden flooring to thermally perform without compromising the mechanical strength of the building,” she adds. While the regulations for non-masonry walling remain unchanged, there will be a higher thermal performance requirement for masonry walling. This means that concrete and brick walling will require some kind of thermal intervention – either a cavity wall with insulation in the middle or a composite wall with insulation. The thermal performance requirement for walling will further depend on the type of building and the hours of day the building is used. Apart from making this section more user-friendly, the calculations for shading of windows were simplified. “We are looking at the solar indices and longitude as opposed to calculations,” states Reynolds. “Throughout the country, the longitude of the site determines the summer and winter sun angles. The resultant angle of the shading over windows will minimize solar ingress in the summer, but maximize the warmth of the winter sun into the building”. While the revision for windows is still very much in progress, Reynolds points out that the idea is to completely move away from calculations inside SANS 204. There will still be a need to calculate the total percentage of windows to floor area as a guide to the type of fenestration that would be deemed-to-satisfy. The requirements for ceiling and roof assembly will remain greatly the same for this round, apart from being made more user-friendly. “We are, however, trying to address issues such as thermal bridging and the compression of materials. The better performance will come in these improvements,” notes Reynolds. “I believe the biggest impact of the revised SANS 10400-XA in the market will be in terms of masonry walling, since the previous standards were quite low. If a cavity wall can’t be constructed, which really is the big challenge at the moment, people will have to look at some kind of composite wall with insulation in order to comply. “The other major change the industry will have to get used to is the new numbers in the SANS 10400 XA tables. Important to note is that these numbers are calculated without including the operational load of a building, so they don’t reflect the actual use of a building once occupied. They are calculated only for fixed services and the energy required for heating and cooling inside the building, which means that the number in the table will be much smaller than the actual number measured, once the building is occupied and running. “This is not a mistake, but done so in order to be able to compare apples with apples when modelling/thermal software is used,” Reynolds concludes. The revised SANS 10400-XA is due to be released at the end of this year, but professionals in the built environment should already start preparing to take the next step in sustainable building. Building Design Group for the information given to write this article. • No reference to SANS 204 in SANS 10400 XA. • Energy zone map instead of climatic zones. • More rigorous numbers in the tables. • The reference building route to compliance will be scrapped, leaving only two routes to comply: The tables and the “recipe” route. • For the “recipe” route, buildings will be grouped together according to similar energy requirements rather than type. • New thermal performance requirements for suspended or exposed concrete flooring. • Higher thermal performance requirements for masonry walling. • Simpler calculations for shading and windows. • Issues such as thermal bridging and the compression of materials will be addressed.